For some Canadian athletes, this is their first time wearing the Canadian colours at the Paralympics. For others, like Para ice hockey captain Greg Westlake, this is old hat. But while this may seem routine, Westlake has a different perspective about all of this now. Snow started to fall lightly at the base of the cascading mountains in the PyeongChang Paralympic Village Plaza on Wednesday afternoon. Ornately dressed Korean musicians blasted horns and banged drums — a sea of red followed not too far behind. Team Canada triumphantly paraded into the Plaza for the official welcome ceremony at the Paralympics. The largest ever Canadian delegation, 55 athletes, wore toques and mitts with maple leafs on them, some waving flags, as they entered the centre of square. For some, this is their first time wearing the Canadian colours at the Games. For others, like Para ice hockey captain Greg Westlake, this is old hat. But on this day at this welcome ceremony, something was different for Westlake. Maybe it was age and experience. Maybe it was reflection on his past three Paralympics. Whatever it was, Westlake has a different perspective about all of this now. "For the longest time people looked at people with a disability as a weakness. 18-year-old Greg saw weakness. Today, the 31-year-old Greg sees strength." Westlake is a double leg amputee. When he was born his feet were malformed and were never going to be fully functional. At just 18 months, Westlake had both of his legs amputated below the knees. "When you're someone in a wheelchair and missing a limb at 14 and 15 years old it's not common for you to go into the gym and say I'm going to push myself. People look at you sideways," Westlake said. "I see somebody who is doing something against the grain and I think that's the coolest thing you can do." Westlake won gold in his first Paralympics in 2006 with Canada. There was disappointment four years later in Vancouver with a fourth place finish. In the last Paralympics in Sochi the team captured bronze. These Games are gold or bust for Westlake and he's using his teammates as the ultimate motivation. "The best ambassadors we have are the athletes and alumni. They grind. They grind every day." 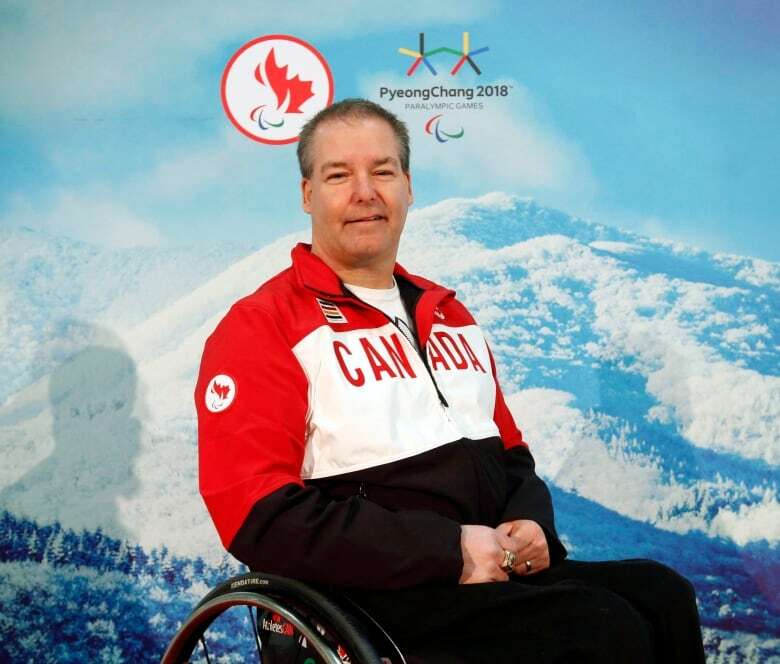 Leading the Canadian wave into the Plaza was five-time Paralympian and chef de mission for these Games, Todd Nicholson. He was loud and boisterous, chanting "Go Canada Go" — in a lot of ways it was an eruption of excitement and emotion eight years in the making. "For the last eight years I haven't been able to wear Team Canada on my chest because I was representing all nations in all sports. 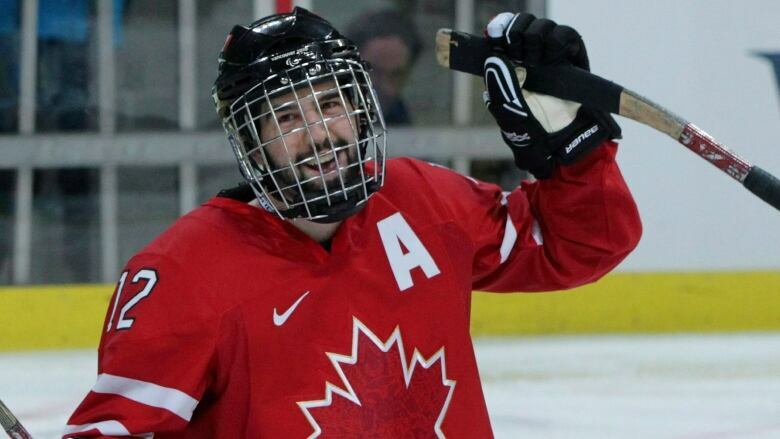 To finish it off and come back and wear that Canadian pride is special," Nicholson said. Nicholson was the IPC athlete representative to the IOC. Prior to retiring from sledge hockey in 2010, Nicholson was a part of the national team for years. The three-time Paralympic medallist won a bronze for Canada in 1994, a silver in 1998 and captained Team Canada to a gold in 2006 in Turin, Italy. A team captain for 15 years, Nicholson was Canada's flag-bearer for the opening ceremony of the 2006 Games. Now he's chef de mission for the 2018 Paralympics. "How to work with others to achieve that success. It's so crucial. That's what we're focusing on," Nicholson said. "We have a lot great veterans and leadership within in this team and we're hoping that will trickle down to all of the athletes." For the first-time ever at the Paralympics all of the athletes will be staying at one Village. In all previous Games the athletes had been situated in different clusters closer to their venues. "It's pretty cool to have everyone together and feel more like a team," Ina Forrest said. "That's what the Paralympic experience is about. A team. What a great way to start." 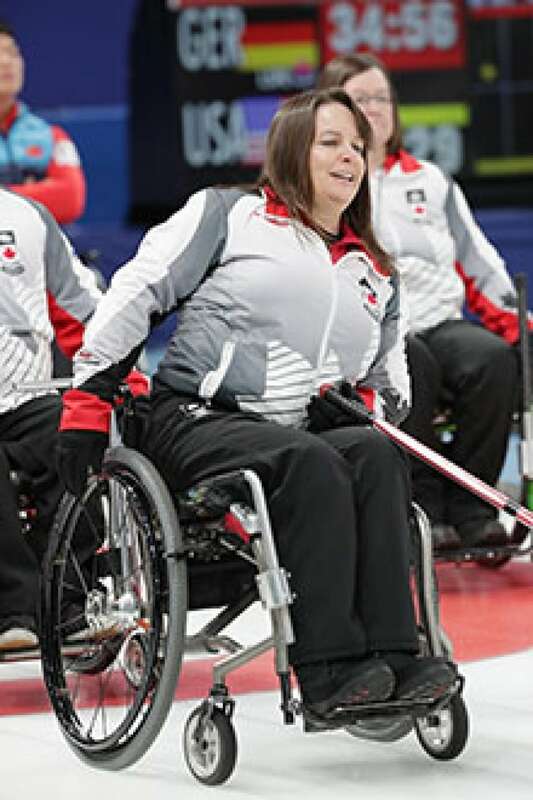 Forrest is making her third appearance at the Paralympics in wheelchair curling. She was vice-skip four years ago when Canada won gold. She was also part of the gold-medal winning team in Vancouver. Now she's basking in being at another Games with another chance to win gold. "They're all different. The celebration is different. The people are different. But the excitement doesn't change." And Westlake couldn't agree more when it comes to the excitement and team atmosphere. "It's a great opportunity to get to know everybody and share in our journey together and share in each other's successes." The Canadian flag was raised. O Canada played. Snow continued to fall as the athletes roared at the end of the anthem to officially welcome the team. "It was pretty loud and proud today wasn't it?" Forrest said, smiling. Starting Friday and running through until Sunday March 18, upwards of 670 athletes will be competing for 80 medals in six different sports — para ice hockey, snowboarding, alpine skiing, biathlon, cross-country skiing and wheelchair curling.